If you are going through a divorce, you may be worried about handling school events; who will be showing up to what. As a New Jersey Divorce Attorney, I get questions all the time from clients about how to deal with school events during the divorce. Navigating the journey with your children is going to lead to opportunities to spend time with your former spouse at school. School, soccer, volleyball, and any activity, you both have to be there to support your children. Absent domestic violence and if there is some restriction on your both being in the same place at the same time, handling school event and showing up are things that you should coordinate. To the extent possible, if you could show up at the same time, for example, to the parent/ teacher meeting, why wouldn’t you? The children will only benefit emotionally and psychologically from Mom and Dad talking to the teacher together. Handling school events so that you both can attend could make the divorce a lot easier for your children. 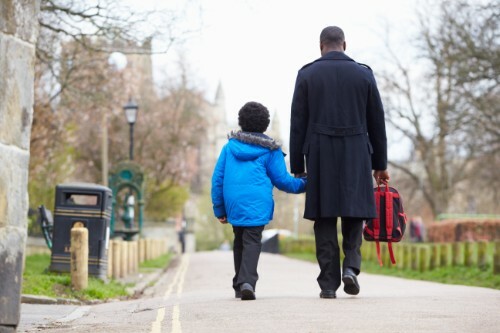 You may not be married anymore and you may not love each other anymore, but you have this child in common and why not have an open discussion with their teachers together so that they know the situation if your child even were to want to talk to them about it. Furthermore, why not show up at the soccer game together? You don’t have to sit together. Your child will know that Mommy and Daddy took this journey to a divorce but they still love me because there’s Daddy cheering for me and there’s Mommy cheering for me and your children will be that much happier. It is a difficult thing to keep life pleasant for your children during divorce and handling school events may seem daunting, but it is in the best interest of the children for that to be an amicable situation. If you need help handling school events with your spouse, please set up a free consultation with experienced New Jersey divorce lawyer Tanya Freeman.